Hello hello! Yes, I’m completely obsessed by your shop and stalk you on almost every form of social media known to mankind. *awkward smile* What’s the story behind Mr Sparrow? I’ve always wanted to own a shop of my own, filled with beautiful things that I love. I was looking for a way to do something creatively inclined whilst doing my GP training in 2012, when the opportunity to own Mr Sparrow came up! 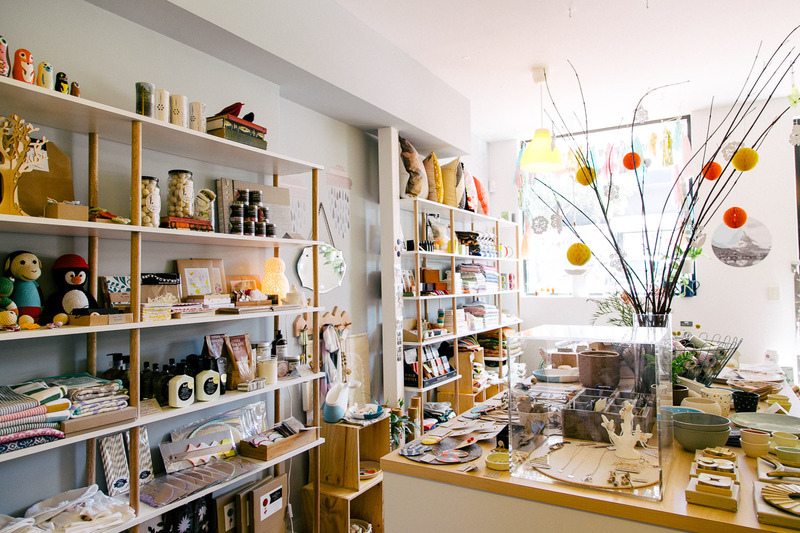 The previous owner of Mr Sparrow was looking to move over east, and I leapt at the chance to do something different, and fulfil my dreams of wanting to own my own shop! Plus it was a bonus that I already owned half of the pieces in the shop myself, being a long time supporter of Mr Sparrow when it was under Anna’s ownership. It was really daunting at first and many thoughts of uncertainty went through my mind like, “We’re new, will people like us?”, “Will anyone come to our shop?”. But I bit the bullet at the end of 2012 and have had a lot of fun growing this store since! We renovated the store in October 2013 which breathed new life into this little place. It’s been a blast! Where do you source your collection of goods from? I source things from all over the world – places include Japan, Finland, the United States and, of course, Australia! 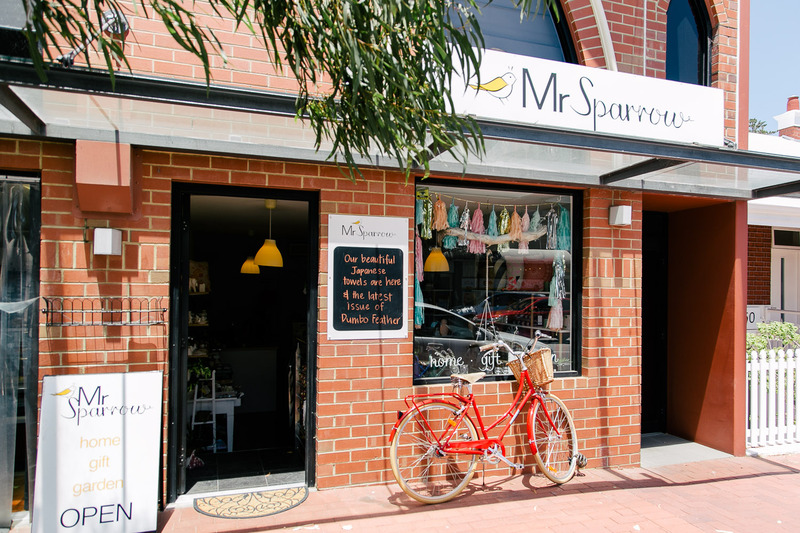 I keep my eye out for unique pieces that no one else in Perth stocks, and am particularly excited by the chance to collaborate with creatives to come up with exclusive Mr-Sparrow-only products! For example, my Bridget Bodenham x Mr Sparrow ceramic planters – I just love them! I’m generally inspired by my travels, near and far, always looking out for beautiful products along the way. I’m also a big fan of Instagram! One of the biggest challenges in owning a store is continually finding fresh, new things and in the right balance. So you own a shop AND you’re training in General Practice. How do you balance both sides of your work life? I’m envious! It isn’t always easy balancing the medical side with the business/creative one, however I’m loving the balance of these two at the moment. I’m currently taking a break from General Practice training to focus on the business – and to be honest, I’m loving the day to day of running the business. I’m also keeping myself busy studying a Masters of Public Health, and doing some other work as well. (Sarah almost falls over at this point – she barely remembers to brush her teeth before rushing out the door to work each day!). But Mr Sparrow most definitely still has a firm and very special place in my life! Life as a doctor very easily becomes all-encompassing so it’s super important to me to maintain a balance. We talked on for more than an hour, mostly about life and how to do it best. It was a fantastic chance for myself and Jinn to meet a fellow medic who had successfully burst out of the “doctor stereotype”, and fulfilled and expressed her other more creative side, something I personally find very difficult to do at times. Jelena is a great encouragement and role model to us both, with her big heart, clear vision, lateral thinking and, of course, superb taste. Make sure you pop by to see Jelena or visit her online store! Be sure to check out my favourites – Bridget Bodenham ceramics, Emily Green necklaces, Kip & Co bedding, and jewellery by the WA Fashion award winner, Alister Yiap. And here I am sitting on my bum at 2am in the morning. I feel so inadequate hahaha. P.S. yours + Jinn’s photos are gorgeous! I know I know I know! Amazing huh?